I am excited to be getting started on a new project this week. I am going to be building and painting Privateer Press' huge Deneghra model. This is the most recent version of Deneghra ( I believe it's Denghra 3) and she is pretty big, or her mount is at any rate. kind of thing that got me into gaming in the first place. Deneghra comes with a 120mm base that sort of looks like a bread plate. When you open up the box the first thing you notice though is the wings. That is one big "mini". 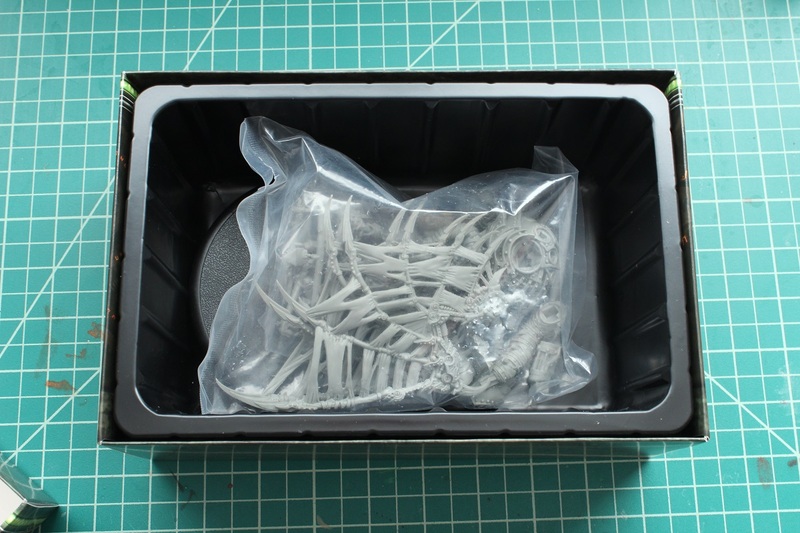 The whole kit is made out of Privateer Press' soft plastic. Which really makes sense for a model of this size and shape, especially if you plan to do any gaming with her. 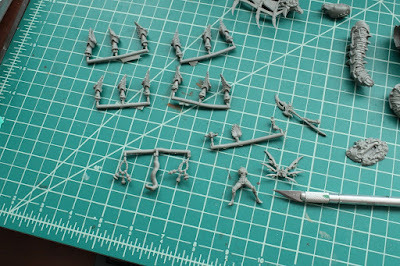 I was a little apprehensive at first, my only experience with the soft plastic was Reaper's first Bones kickstarter and some of those minis were really soft, I mean they felt like a pencil eraser. Deneghra's plastic is much harder than that. Not as hard as polystyrene, but it doesn't feel like you are going to leave finger prints on it either. We're gonna need a bigger X-acto knife! The first major task for this project is going to be cleaning up those wings. 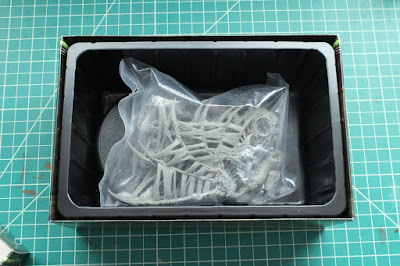 The soft plastic makes them much easier to handle, and way more durable but it also means there are some wicked mold lines and as you clean them up the material begins to fuzz. Compared to the wyrm Deneghra is actually quite small. As other people have said I think it would have been a good idea to make her metal or even resin, but that might have been to expensive or just a logistical nightmare. 12 Smoke stacks because 10 is never enough, and 11 looks silly. I am pretty sure this project is going to be awesome. There are some compromises with the material but every time have to paint in a detail that isn't sharp enough I am going to be thankful that I didn't break anything. I really need these kinds of action figures, I just love to make things like these. I am really looking forward to how it turns out. If I find this, I'll buy it for sure.